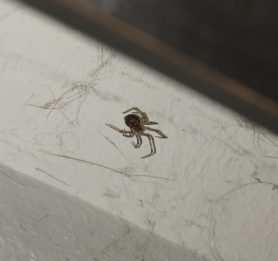 This spider was climbing up a single silk strand towards the ceiling, it was half-way up to the ceiling, in the center of the entry way when I spotted it, right before leaving home. Is this in the widow family? I've captured 3 big typical looking black widows in this entry way and one outside last fall. It has just snowed and the temperature in the entry has dropped considerably. Is this in the widow family? 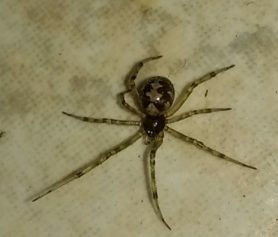 Hi, this is a Triangulate Cobweb Weaver, Steatoda triangulosa. 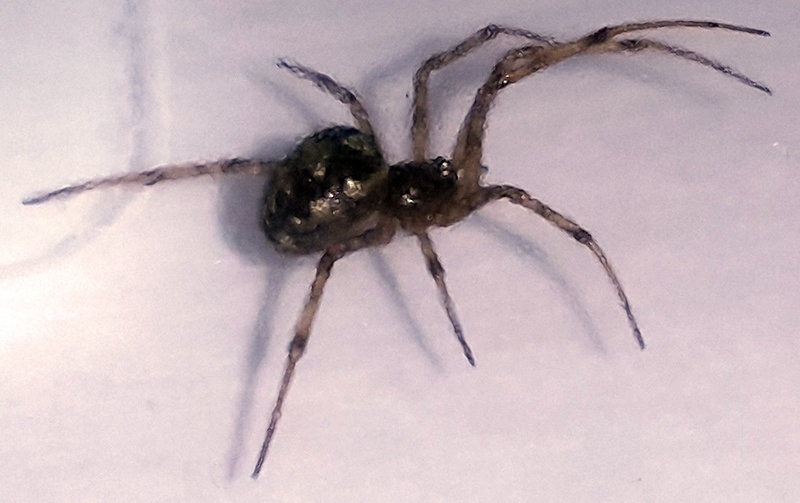 They are in the same family (Theridiidae) but a different genus from Widow Spiders – Widows are in Latrodectus. They’re not anything to worry over. Like most spiders they have venom but are not considered to be of medical significance (everyone’s immune system is different though) and are unlikely to bite except in self defense. They will prey on less desireable things. You can reduce the number of spiders you find in your home by sealing cracks around floors, doors, windows, foundation etc., vacuum everywhere and empty the canister outside. 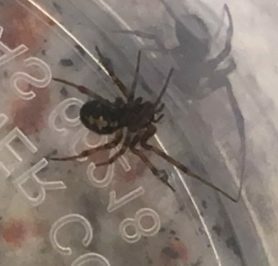 Also worth mentioning that Steatoda species are commonly called ”False Widows”.